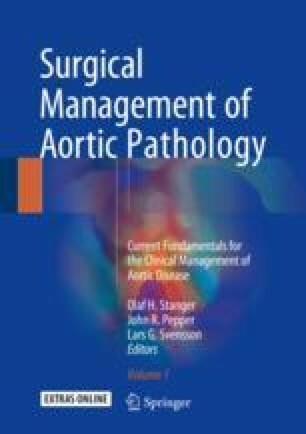 Patients requiring aortic surgery usually represent a group of individuals with complex pathologies often necessitating challenging interventions and care in a tertiary medical center. This calls for both surgeons and pathologists alike to work together as a team of highly specialized experts. It is the surgeon’s job to ensure that all aortic specimens are adequately fixed and sent for routine histopathological work up in a timely manner and with appropriate clinical information. It is the pathologist’s job to process and store the samples according to (inter-)national guidelines and provide a standardized report with as concise a diagnosis as possible. Turnaround times and cost-effectiveness should also be taken into the equation to enable rapid subsequent treatment beyond surgery, where needed, and to lower the threshold for sample processing.